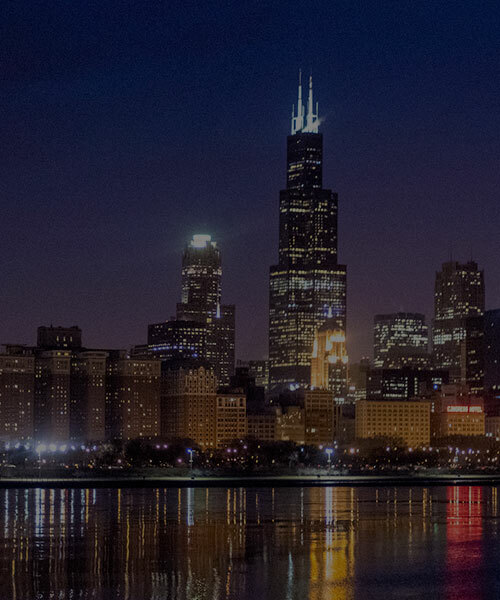 The attorneys of Walsh, Knippen & Cetina, Chartered, are well-known and respected for the results we have achieved for clients in throughout the Chicago area. We work with individuals involved in extremely challenging and complex cases including personal injury, wrongful death, and medical malpractice claims. We have also obtained significant verdicts and settlements in cases involving business disputes and professional malpractice. We are not a high-volume law firm. Instead, we limit the number of cases we accept so that we can provide the highest quality and most sophisticated legal representation possible. This selective approach allows us to give each case and each client the full benefit of our legal experience and personal attention. Our attorneys have tried to verdict more than 350 jury and non-jury cases lasting three days to six weeks, each. This is more cases than most attorneys will try in a lifetime. Our reputation as effective trial lawyers often motivates opponents to agree to reasonable settlements outside of the courtroom. 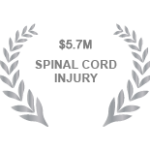 Our team is comprised of award-winning trial attorneys, having earned a 2014 Litigator Award for cases involving a $5.7 million spinal cord injury, a $10 million products liability case, a $10.6 million medical malpractice claim, and a $18.6 million construction accident case. 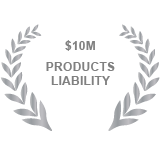 We are members of the National Trial Lawyers Top 100 list, Super Lawyers, and Leading Lawyers. Our attorneys also maintain memberships with the American Association for Justice, the American Inns of Court, and the International Trial Lawyers Association. 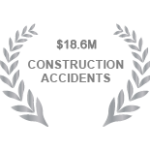 Since 1980, Walsh, Knippen & Cetina, Chartered has secured outstanding results for clients while providing the emotional support and practical advice that seriously injured people need during challenging times. If you or a member of your family is seeking experienced legal representation, please contact our medical malpractice and personal injury law firm to arrange a free initial consultation. Call 630-462-1980 for our Wheaton office or 312-372-1980 for our downtown Chicago location. We look forward to hearing from you. 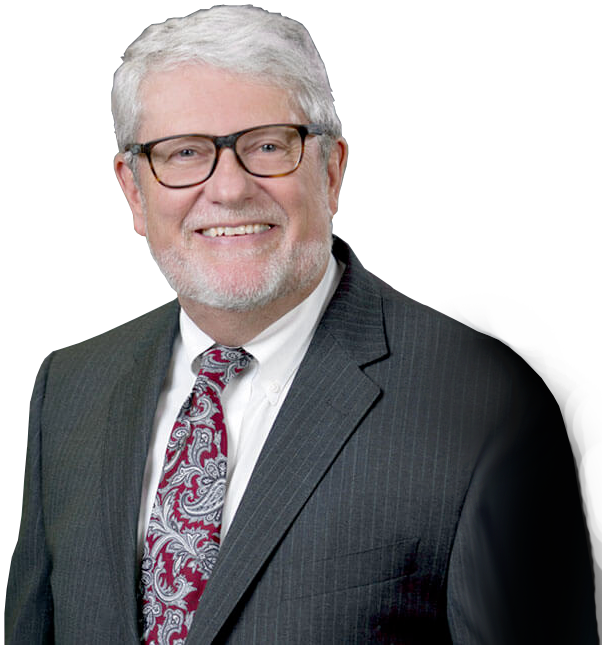 When attorney Edward Walsh founded the law firm, his goal was to focus the practice on helping a select group of people that were truly in need. 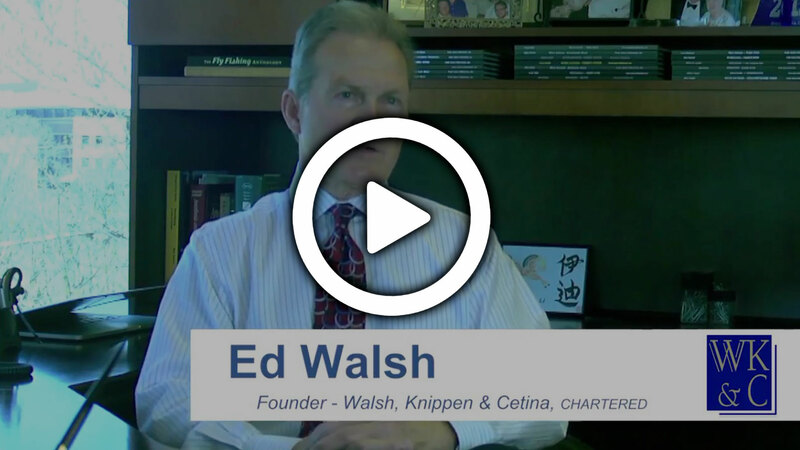 Since then, Walsh, Knippen & Cetina, Chartered has prided itself on being a boutique firm that looks out for victims of catastrophic negligence and cases on behalf of families who have suffered the loss of a loved one. 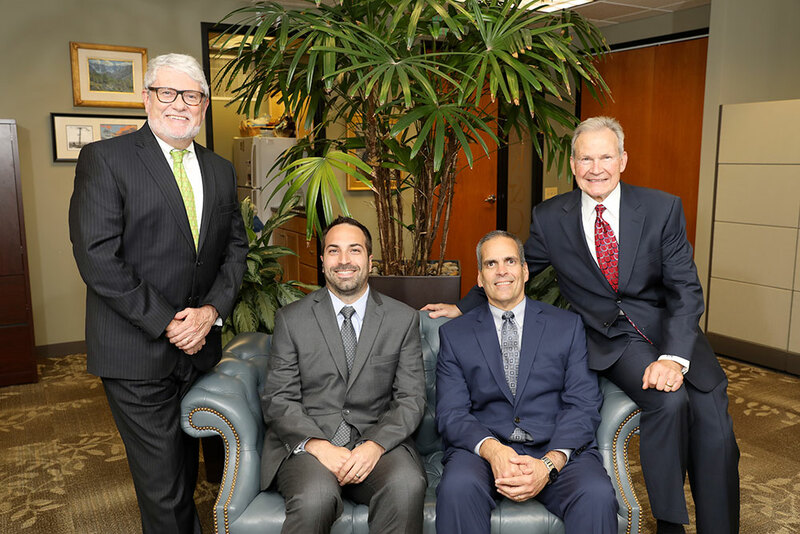 Our experienced attorneys take a team approach to help clients through these difficult cases and achieve the successful results they often deserve. 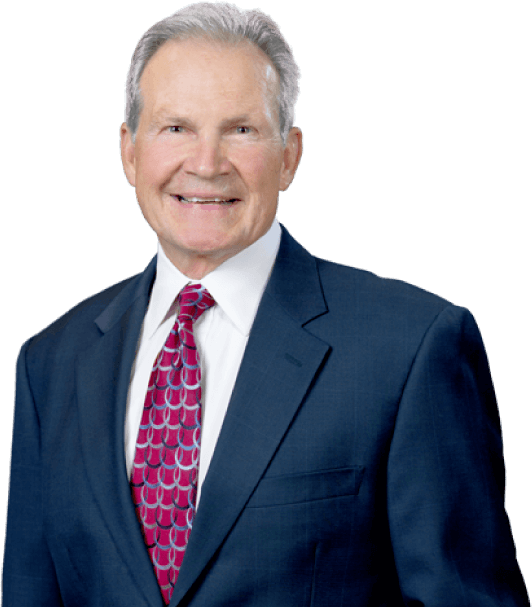 Attorney James H. Knippen, II has extensive experience in complex litigation matters including personal injury, professional negligence, business litigation, and local government representation. This particular focus of the law has allowed him to work with many organizations and entities throughout the local Illinois area. In particular, Mr. Knippen has represented corporate clients including the Village of Roselle, City of Wheaton, Forest Preserve District of DuPage County, Village of Woodridge, City of West Chicago, Amoco Oil Corporation, Bluff City Materials Corporation, Waste Management Corporation, E/M Corporation, Concord Homes, Pasquinelli Development Corporation, and numerous fire and police chiefs regarding employment discipline matters. He has also assisted clients with injunctions, declaratory actions, and zoning litigation for both municipalities and private developers.